What do you think of when someone mentions going on a cruise? Images of you standing on the top deck, bikini-clad, sunbathing, and drink in hand probably pop into your mind. While it’s true that Caribbean and tropical island cruises are incredibly popular, they aren’t the only worthwhile cruises out there. Break free of the norm and try the polar opposite. What’s more adventurous and exciting than a cruise to Alaska? Even those who aren’t crazy about cold weather will find it impossible not to be impressed with the sights and culture of the U.S.’s most northern territory. Need more convincing? Keep reading! These are all the reasons you need to book an Alaskan cruise – today! Alaska is full of massive glaciers that will completely humble and impress even the most experienced traveler. 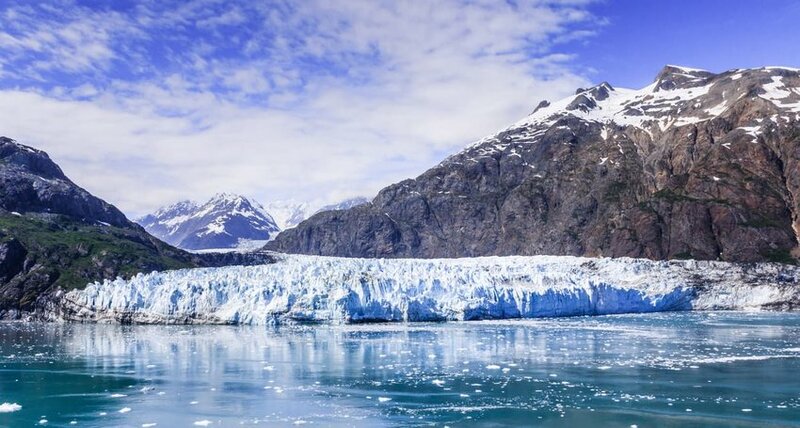 Many Alaskan cruises will dedicate a whole day to these silent beats with scheduled cruises through stunning areas like Glacier Bay, a national park boasting 15 active glaciers. If you want to feel the true power of Mother Nature and her amazing creations, this is definitely the way to do it. The best part is a local ranger will board your ship (required by law to access the park) and give all sorts of interesting information on the glaciers, wildlife, and the park in general. You can spot some of the most unique wildlife that’s hard to find anywhere else all from the deck of a cruise ship! 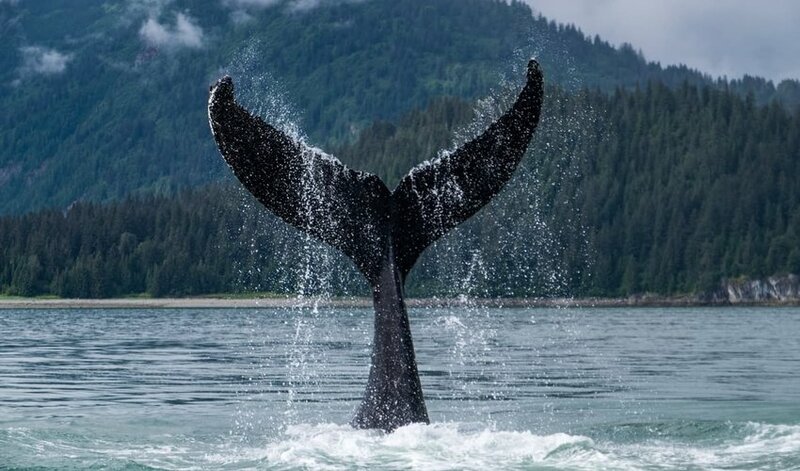 Alaska’s waters are home to Humpback whales, seals, sea otters, and sea lions. Brown bears, bison, beavers, caribou, fox, and mountain goats cruise the terrain and can be viewed right from the cruise ship or by overland day excursions. There’s always the chance to spot bald eagles and a variety of seabirds soaring overhead simply by looking up from your ship’s deck. Experiencing all this wildlife in one place has never been easier. Sure, cruising through one of the most picturesque landscapes in the entire United States is a highlight. But have you heard about the excursions? 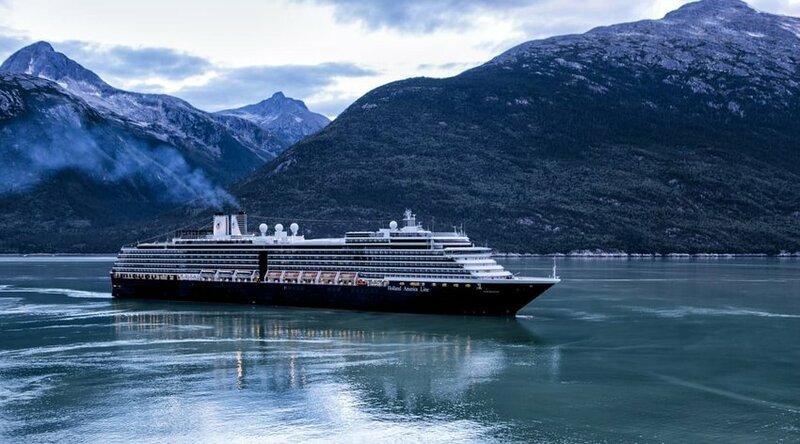 Nearly all Alaskan cruises will offer their guests the chance to disembark the ship and experience Alaska from a different perspective. 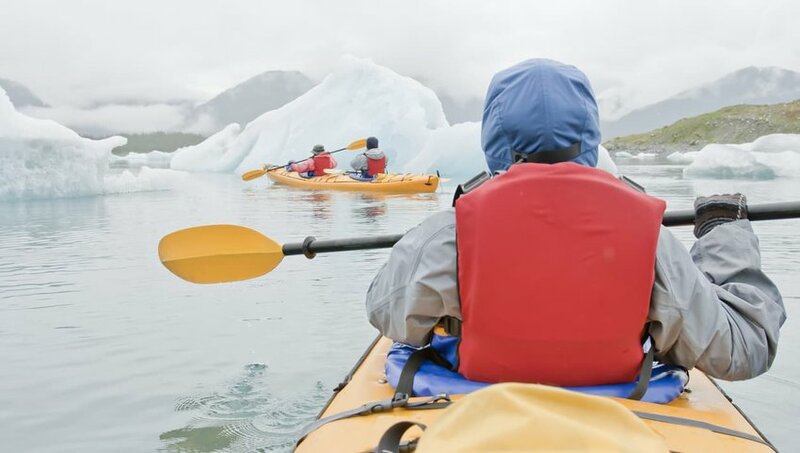 Typical options include sea kayaking or paddle boarding through dramatic fjords and glaciers, helicopter tours over sled dog camps or bear viewing parks, and shore tours to view wildlife up close and personal. There’s even such a thing as cold-water snorkeling and sea kayaking! A picture of you swimming in the icy waters of Alaska is definitely more Instagram-worthy than you sunbathing on a beach. 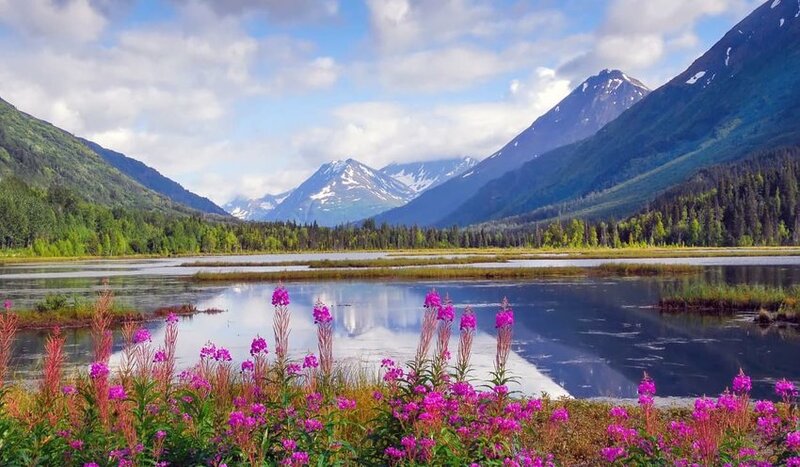 Cruising the stunningly scenic shoreline of Alaska is undoubtedly the best way to see this state’s diverse beauty. While traveling by land can certainly be amazing, taking to the seas allows for a totally different (and arguably better) perspective of Alaska. Cruises allow you to view the glaciers, wildlife, landscape, and seascape in a way that’s just not possible if traveling by land. Additionally, there’s always the option for different land or air excursions from the ship. If you book an Alaskan cruise, you’ll get the best of all three worlds - land, sea, and air. The unsettling reality of global warming means that Alaska is not going to stay this way forever. As the climate changes, so does Alaska’s gorgeous land and seascape. Glaciers are shrinking and wildlife spottings are becoming less and less. If you want some real, tangible proof of how our warming climate is affecting Alaska, just visit the Exit Glacier in Seward. Here visitors can actually see how much the glacier has retreated in the last 195 years thanks to the dutifully placed signage marking its annual recession. 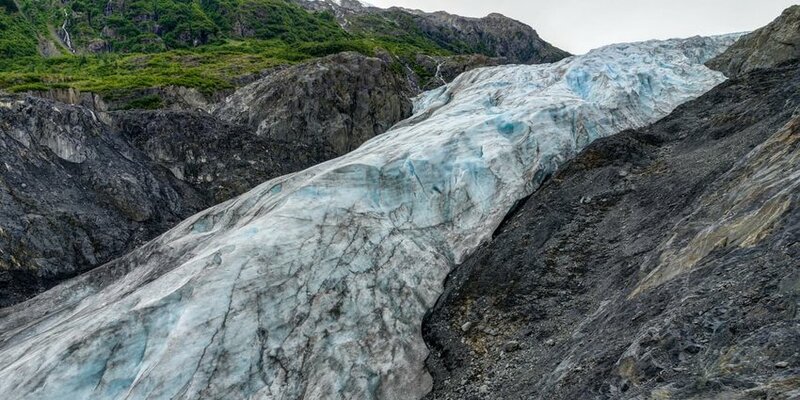 Between the summers of 2016 and 2017, the glacier receded 252 feet, the biggest retreat on record. That’s why it’s not only important to get to Alaska as soon as possible, but it’s also imperative the world starts taking global warming seriously! 4 Places to Safari in the U.S.